We've heard of certain issues from some Galaxy S owners, about their device that is unable to receive messages from their Gmail accounts even if they already have them synced to their GS 5 handset. If you are among those who have been encountering this problem, I recommend you try to change or re-configure your email address settings on your phone. Here's how to change Gmail email account settings on your mobile phone that has been synced. Step 1. Touch on the Apps icon from the Home screen. Step 2. You will see a list of apps. Look for the Email App used on your phone and touch on it to launch. Step 3. Once you're in the email screen, tap on the three vertical dots located on the upper-right corner of the screen. This will open the phone's Menu options. Step 4. Scroll down and select Settings to continue. Step 5. Touch on Manage Accounts option from the Settings. Step 6. Select the preferred account you want to change or configure settings on. Step 7. On the next screen, scroll down and select More Settings. Step 8. Touch to select "Manage Accounts" from the selection. Step 9. Touch on any of the existing accounts to use for this process. Step 10. You will then see the settings configuration screen, like the SMTP server, PORT, etc. Enter your full email address (Gmail account) to the SMTP server field. It should be complete with the @gmail.com. Step 11. Once you already have configured the SMTP server, touch on the PORT field. Step 12. Enter your port number from your email. Port number for Gmail accounts would be 465. Step 13. Once done changing/configuring the email account settings, touch on Done button to complete the process. Changes will then automatically be saved. In case you're still unable to receive or send messages from your email account on your Galaxy S5 handset after re-configuring email account settings, I suggest you should contact your email provider and verify the correct email server settings for your account with them. 1. Sign in to your Gmail account and Enable the IMAP Access settings. Click the link to get inside your email settings and make sure you are currently logged in to continue to the next step. 2. After you’ve enabled the IMAP Access on your Gmail account, proceed with downloading of the SMS Backup application. 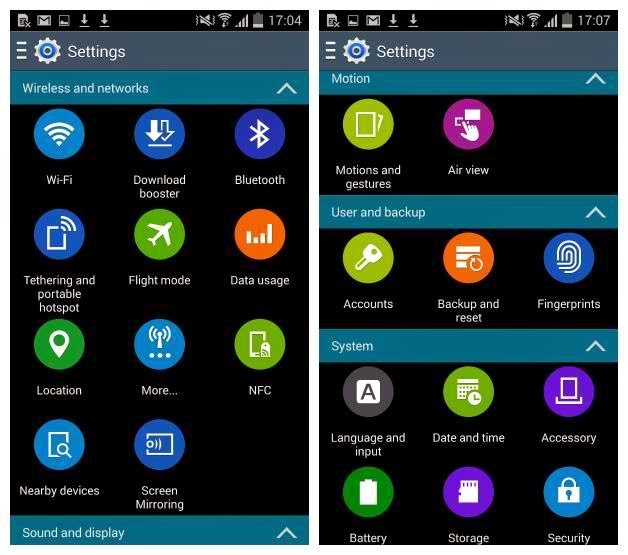 The SMS Backup App is a free app downloadable via PlayStore for SMS management on Android devices, including the new Galaxy S5. 3. 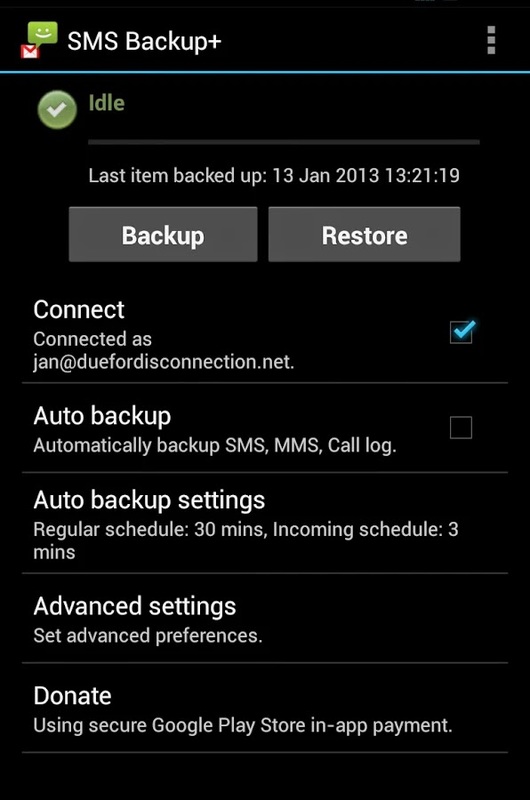 Install SMS Backup application on your mobile phone. 4. Once completely installed, launch the application. 5. Be sure to put a check mark on the Connect option. 6. Select the Gmail account that you preferred to sync on your phone. 7. Look for an on-screen prompt that says Allow Access. 8. Touch on Backup option and wait until the app to backup messages from your phone to your Gmail account. 9. Check your email and see if your phone messages are already in there. The SMS messages should be inside a separate folder on your email. You will need to have an Internet connection to complete the aforesaid process. This means your phone must be connected to the Internet (Wi-Fi or Mobile Data Network) to get these steps done without problems.